Multi-tasking skincare often makes bold claims, yet few rarely deliver on all of them. 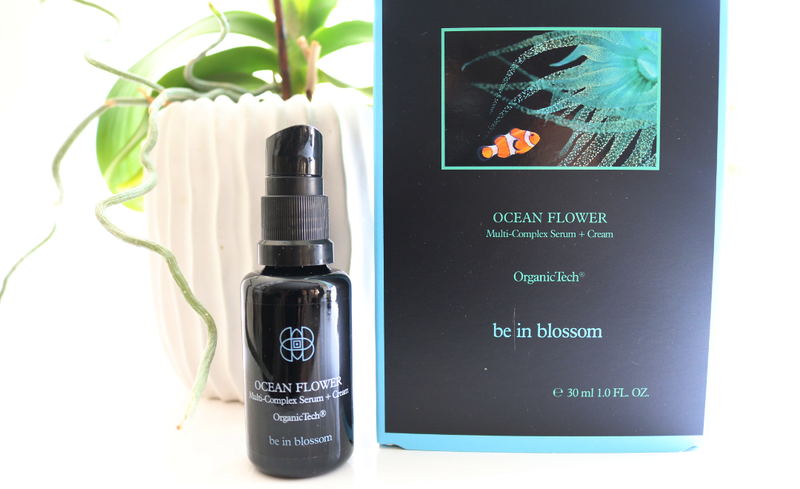 However, Be In Blossom's Ocean Flower Multi-Complex Serum + Cream is a product that has successfully managed to combine the very best attributes of a serum and a facial moisturiser, into the same bottle. Within mostly green beauty and luxe skincare circles, Be In Blossom is a name that I have seen come up in numerous posts over the past year. The cruelty-free and vegan-friendly German-based skincare brand prides itself on its 'OrganicTech', which incorporates high-quality organic ingredients into effective and innovative formulas that are free from parabens, mineral oils, silicones and petrol-derived chemicals. 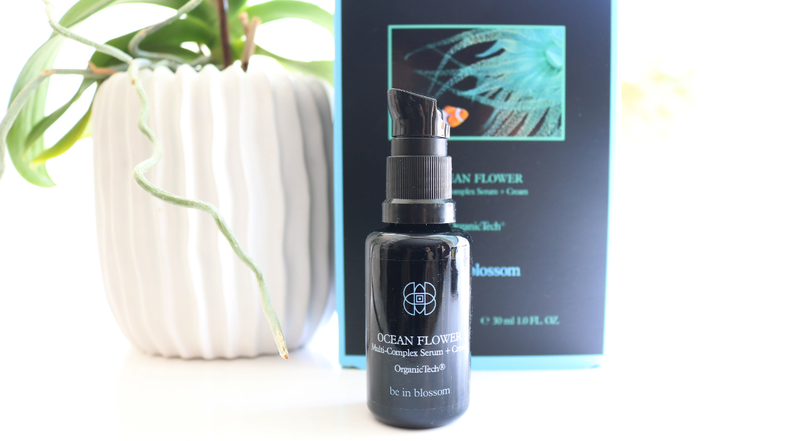 Perhaps surprisingly for a skincare brand, Be In Blossom currently only have three products within their range, two of which have been made for men, so naturally, I decided to try out the only 'female' product; their Ocean Flower Multi-Complex Serum + Cream. Packaged in opaque black glass to protect the active ingredients within, Be In Blossom's Ocean Flower Multi-Complex Serum + Cream is based exclusively on maritime technologies to provide the skin with a multi-complex care product. I've often seen a buzz around marine ingredients that are used in skincare, but this is the first time that I've used a product quite like this. The key active ingredients include Micro Algae Extract derived from Haematococcus Pluvialis, a freshwater plant species which is known for its high levels of the antioxidant astaxanthin; Sea Holly Phyto Stem Cells, and Alaria Esculenta, another type of antioxidant-rich Algae. These form the base of a powerful anti-ageing serum that helps to support the elasticity and overall suppleness of the skin, repairs damage and stimulates healthy collagen growth. I've been mainly using this in my evening skincare routine and the feel of this serum is absolutely beautiful on the skin. It has the texture of a light creamy serum and absorbs quickly, yet has the overall feel of a highly nourishing and hydrating moisturiser. There's absolutely no oiliness or sticky/tackiness, and it smells very fresh and spa-like with lots of rich and exotic floral notes. The Be In Blossom Ocean Flower Multi-Complex Serum + Cream is suitable for all skin types, including blemish prone and sensitive. Personally, I don't feel the need to add anything else after using this with my combination skin, so it's been the final step in my routine after cleansing and toning. My skin has simply been lapping it up and feels so fresh, hydrated, smooth and rejuvenated! You can also use it in the mornings as a makeup base which makes it a great product to travel with. Overall, it's a truly luxurious product that can easily replace your serum, moisturiser and makeup primer, so if you're looking for some proper multi-tasking skincare, this is a must-try. Do you like to use multi-tasking skincare?